Oh spring has definitely sprung guys. I'm absoloutley loving the sunshine and it's bringing out this whole new side of me that just wants to wear bright colours and pastels whilst singing to the radio and sipping sparkling water (yes I'm that weirdo that likes sparkling water). Today's post is, again, in collaboration with the fabulous The White Pepper. 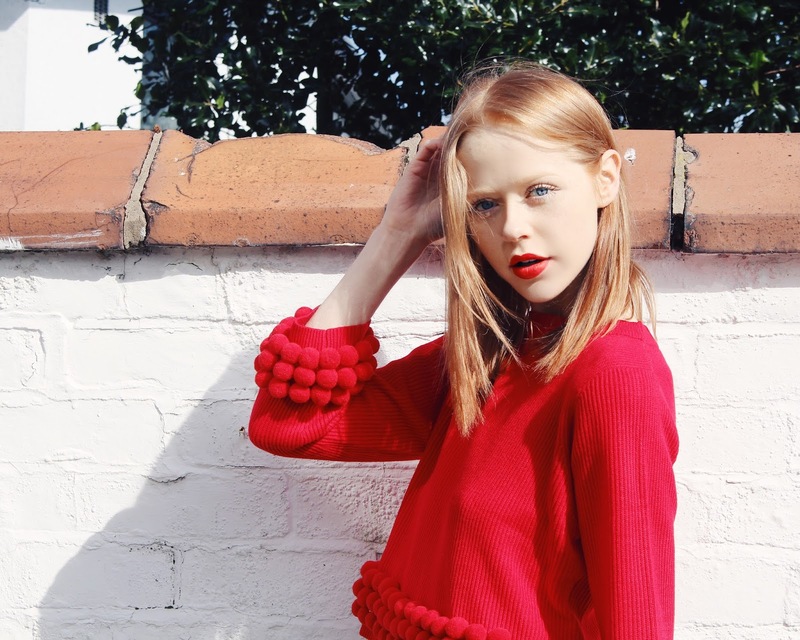 Another of the gorgeous four pieces that they sent over to me was this amazing bright red Pom Pom Cropped Jumper. I was umming and aahing over this piece on their site, because it really caught my eye but since it's sooooo bright and colourful compared to the usual black and white I gravitate towards, I was a bit unsure whether it was for me. I have to say that I am so so so happy that I chose it now, because I am absolutely in L.O.V.E with it! In fact, I've already worn it at least 7 times since it arrived - I just can't not put it on! Here, I decided to use the jumper to brighten up what would be my usual all black - very safe - outfit. I styled it along with these amazing trousers from ASOS, these round sunglasses from Primark and my black ASOS heels. I also took the opportunity to get all matchy matchy with a bold red lip and voila! A fun and bright, yet still very 'me' look. Want to get your hands on this jumper? Head on over to The White Pepper by clicking here. this outfit is amazing! 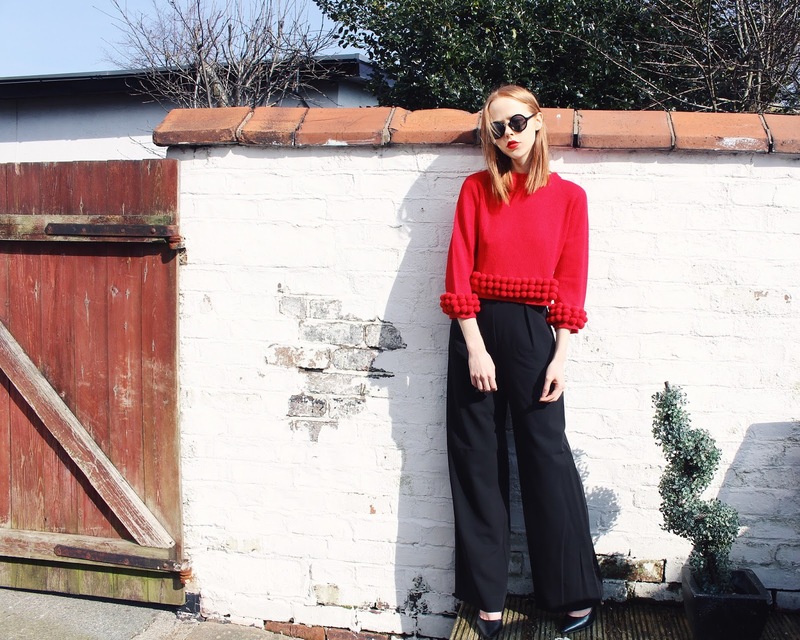 that jumper paired with those style of trousers works perfectly! The red colour looks amazing on you! Love this outfit on you and gorgeous photograpghy!